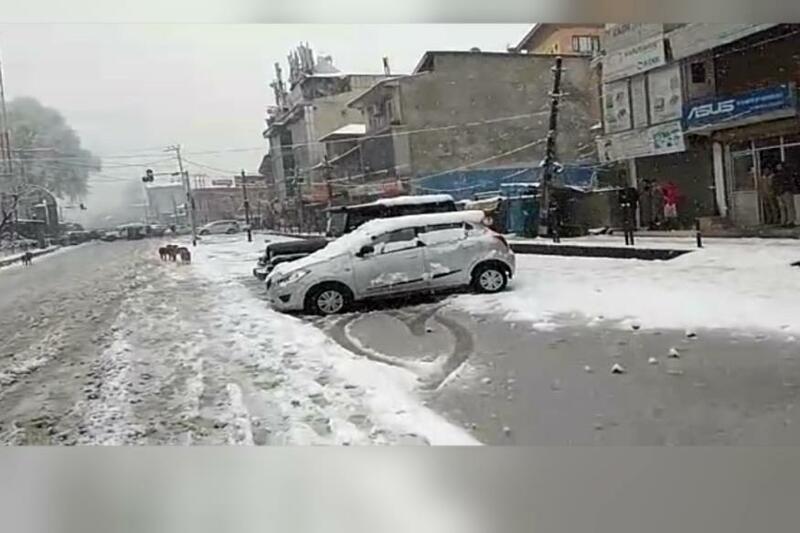 Srinagar, Feb 9: Life remained affected for the second day on Saturday due to slippery road conditions following the considerable drop in the minimum temperature in the summer capital, Srinagar, where snow remained frozen on rooftops, open field and interior lanes badly disrupting traffic and pedestrian movement. However, as the day progressed, the frozen surface of roads and snow started melting after the sun came out. A Met department spokesman said this afternoon that sky would be partly to generally cloudy during the next 24 hours and the maximum and minimum temperatures would be 9 degree Celsius and minus 4 degrees respectively. People woke up to a chilly morning in the summer capital, Srinagar, where majority water bodies, including world famous Dal Lake, were again frozen this morning after considerable drop in the minimum temperature due to clear sky. As the sun came out, frozen parts of the Lake started melting. Against minus 1 degree, the minimum temperature in the city was minus 5.7 degree, 5.3 notches below normal due to which roads became very slippery affecting normal life. Snow on interior roads remained frozen as authorities failed to clear the snow. Snow on rooftops and open field also remained frozen. Several persons were injured after they fell due to slippery road condition in the city. However, business and other activities remained paralysed due to a strike called by separatists on the 6th death anniversary of Parliament attack convict Afzal Guru, who was hanged in Delhi’s Tihar jail on this day in 2013.